When you choose to drive a pickup truck, you are choosing to drive a vehicle built for work as much as it's built for play. Because this wide range of uses may put you in a variety of different positions, it would be preferable if the pickup in question is built for safety as well. The 2019 Ram 1500 includes features to keep you safe regardless of how you are using the vehicle. Whether you are hauling a payload or simply driving around Dover, drivers expect their vehicle to come to a stop in a safe manner. With all-wheel drive, you'll be able to tackle difficult driving conditions. How Will You Customize the Jeep Compass Exterior? Having a compact body with the Trail Rated design, the 2019 Jeep Compass is an award-winning SUV. You can customize the exterior of this durable family car at Parkway Chrysler Dodge Jeep Ram. 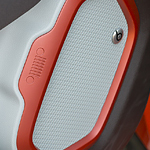 Some of the available models include the Upland, Sport and Altitude. A power sunroof with dual panes is available in the stylish and functional Compass model. A two-tone gloss coating is applied over the glass to provide extra reflection of UV rays. This panoramic sunroof can be fully retracted and opened to ventilate the front and rear rows with fresh air. 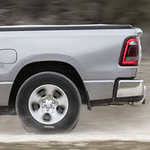 What Exterior Features Come With the Ram 3500? Our staff at Parkway Chrysler Dodge Jeep Ram tries to keep our consumers up-to-date about the trucks that we offer. The Ram 3500 is a popular choice with our consumers because it offers numerous features, which include durable exterior features that enhance capability and efficiency. 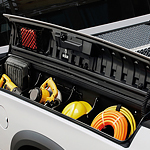 The class-exclusive RamBox Cargo Management System is featured with the 3500. This exterior feature is a drainable, secure, lit, and durable storage system. This system comes with a cargo-view camera, the ParkView Rear Back Up Camera, and the ParkSense Front and Rear Park Assist System. For those of you that are looking for a vehicle that you can use in order to tow, the Dodge Journey is the vehicle that is reliable for towing. For one thing, you will have quite a few features that are geared towards towing so that you can tow items with very little worry. 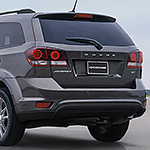 The Dodge Journey has a towing capacity of up 2500 pounds. This gives you a lot of room to tow items that are big and heavy. You also have plenty of other options that make it easier and safer for you to tow. The Jeep Renegade has been one of the popular choices amongst drivers looking for smaller SUVs because of its many features and unique style. There are four models of the Jeep Renegade that we have at Parkway Chrysler Dodge Jeep Ram: the Sport, Altitude, Latitude, and Limited. If you're someone who appreciates staying warm, you could upgrade your vehicle to include heated front seats and a heated steering wheel. There's also the dual-zone automatic temperature control that lets you and your passenger set things up exactly the way you like it. While SUVs are prized for their cargo capacity and off-road capabilities, today's drivers also require their vehicles to deliver greater gas mileage with every tank of fuel. 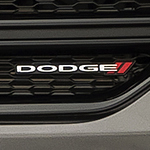 The Dodge Durango is a popular mid-size SUV with hauling capacity, passenger comfort and cargo space to match its integrated fuel efficiency features. From the engine to the road, the powertrain options available on the Ram 2500 will give you the power you are looking for in a truck. Here at Parkway Chrysler Dodge Jeep Ram, we are excited to show you these powertrain options that make the Ram 2500 one of the most popular heavy-duty pickup trucks on the road in Dover today. 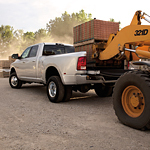 With three engine options for your Ram 2500, you can choose the size that suits your needs best. 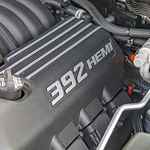 The 6.7L Cummins turbo diesel 16 engine gives you up to 370 horsepower and 800 pound-feet of torque. The Chrysler 300 provides you with a stylish ride no matter where you're going. The car come with eight different wheel designs, so you can pick and choose your style. 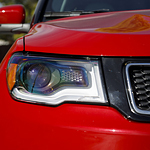 The car's unique headlights have impressive technology features that allow them to adjust brightness as you travel. They'll also switch from low beam to high beam automatically. 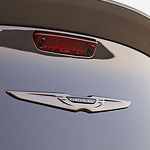 The car's exterior is quite distinctive. 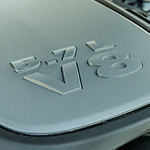 It includes chrome and platinum finishes on the grille, mirrors, wheels, and the door handles. The Dodge Journey is ready to accompany your family on all of life's adventures. This mid-size SUV is equipped with a host of technology features designed to make your driving experience more convenient and comfortable. Audio enthusiasts will delight in the available Premium Sound Group, featuring six Infinity speakers, one subwoofer, and a 368-watt amplifier. The available rear-seat entertainment system uses a nine-inch flip-down screen to keep passengers occupied and content so that you can focus on the road ahead.